When it was reported that the data used to justify the controversial temporary foreign worker program was gleaned from counting job ads on job market board Kijiji, the issue of bad labour market data came to the fore--that the federal government relied on such shoddy stats was absurd to many. “It’s pretty bad,” says Don Drummond, former chief economist for TD Bank. Drummond was the chair of the 2009 federal-provincial-territorial Advisory Panel on Labour Market Information, an attempt to improve labour market stats in Canada. In a follow-up report released this week Drummond notes little has been done on the issue since. “When I did the advisory panel we came up with some suggestions. But budgets for the agencies collecting the data been cut 20%. Not much has been done,” he says. He wonders how the government managed to come up with an official job vacancy number used to justify the use of temporary foreign works in Canada. According to Drummond that number was derived from something more than just Kijiji ads. “The federal government hasn't revealed where the number came from. 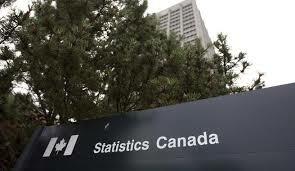 I've asked Stats Canada. But that remains a mystery. There is more to that story,” says Drummond in an interview with Wealth Professional. Canada's labour market stats are some of the weakest among developed nations, especially compared to the sophisticated data regimes in United States and Australia. “We did have a job survey. But that was eliminated in 1978....after that, the government measured the help wanted index in the newspaper by measuring column inches. When the Internet came along, the help wanted index kept going down. That was discontinued in the ‘90s. We've had nothing since then," he says. * Strengthen the capacity of the Forum of Labour Market Ministers by instituting regular meetings, more consultations and a permanent secretariat. Drummond notes that the government announced this week a new $14 million to produce better labour market data this week. But this is just a start. "The government says it is going to do a much more comprehensive study. This is going in the right direction. But there is much more to do,” he says. The idea the government would base policy on bad information is absurd. “Typically, you get the information first and then develop the policy. But way they were doing it, the policy came first; the information seemed to come second. Using bad data undermines the attempts by government to generate policy. I think this is an important issue."